A dark pattern is "a user interface that has been carefully crafted to trick users into doing things, such as buying insurance with their purchase or signing up for recurring bills." The neologism dark pattern was coined by Harry Brignull on July 28, 2010 with the registration of darkpatterns.org, a "pattern library with the specific goal of naming and shaming deceptive user interfaces." Bait-and-switch patterns advertise a free (or greatly reduced) product or service which is wholly unavailable or stocked in small quantities. After it is apparent the product is no longer available, they are exposed to other priced products similar to the one advertised. This is common in software installers, where a button will be presented in the fashion of a typical continuation button. It is common that one has to accept the program's terms of service, so a dark pattern would show a prominent "I accept these terms" button on a page where the user is asked to accept the terms of a program unrelated to the program they are trying to install. Since the user will typically accept the terms by force of habit, the unrelated program can subsequently be installed. The installer's authors do this because they are paid by the authors of the unrelated program for each install that they procure. The alternative route in the installer, allowing the user to skip installing the unrelated program, is much less prominently displayed or seems counter-intuitive (such as declining the terms of service). This pattern is also used by some websites, where the user is shown a page where information is asked that is not required. For example, one would fill out a username and password on one page, and after clicking the "next" button the user is asked for their email address with another "next" button as the only option. It is not apparent that the step can be skipped. When simply pressing "next" without entering their personal information, however, the website will just continue. In some cases, a method to skip the step is visible but not shown as a button (instead, usually, as a small and greyed-out link) so that it does not stand out to the user. 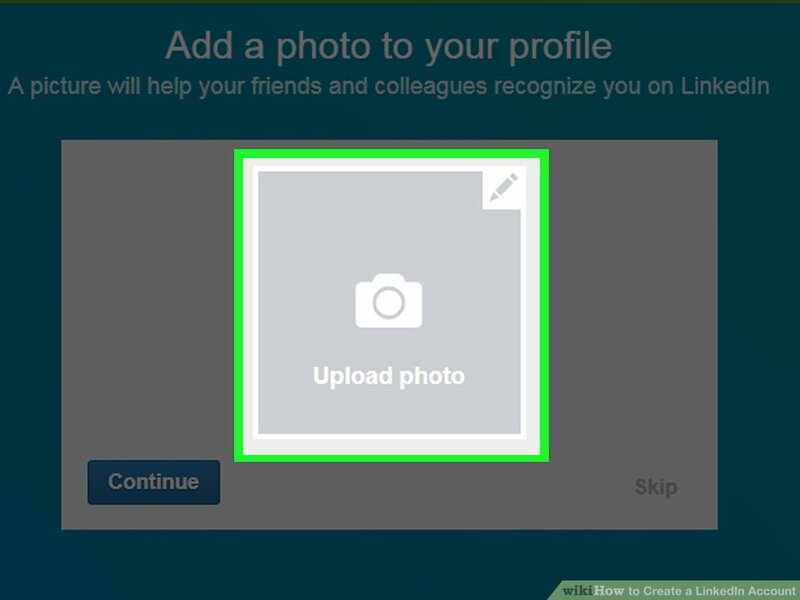 Other examples that often use this pattern are inviting friends by entering someone else's email address, uploading a profile picture, or selecting interests. A roach motel or trammel net is a situation that is easy or straightforward to get into, but difficult to get out of. Examples include businesses that require subscribers to print and mail their opt-out or cancellation request. The European Union General Data Protection Regulation requires that a user's informed consent to processing of their personal information be unambiguous, freely-given, and specific to each usage of personal information. This is intended to prevent attempts to have users unknowingly accept all data processing by default (which violates the regulation). In April 2019, the UK Information Commissioner's Office (ICO) issued a proposed design code for the operations of social networking services when used by minors, which prohibits using "nudges" to draw users into options that have low privacy settings. This code is enforceable under the GDPR. On April 9, 2019, U.S. senators Deb Fischer and Mark Warner introduced the Deceptive Experiences To Online Users Reduction (DETOUR) Act, which would make it illegal for companies with over 100 million monthly active users to use dark patterns when seeking consent to using personal information. ^ Campbell-Dollaghan, Kelsey (21 Dec 2016). "The Year Dark Patterns Won". CO.DESIGN. Retrieved 29 May 2017. ^ Singer, Natasha (14 May 2016). "When Websites Won't Take No For An Answer". The New York Times. Retrieved 29 May 2017. ^ Nield, David (4 April 2017). "Dark Patterns: The Ways Websites Trick Us Into Giving Up Our Privacy". Gizmodo. Retrieved 30 May 2017. ^ Brignull, Harry (1 Nov 2011). "Dark Patterns: Deception vs. Honesty in UI Design". A List Apart. Retrieved 29 May 2017. ^ Grauer, Yael (28 July 2016). "Dark Patterns Are Designed to Trick You, and They're All Over the Web". Ars Technica. Retrieved 29 May 2017. ^ a b Snyder, Jesse (10 Sep 2012). "Dark Patterns in UI and Website Design". evatotuts+. Retrieved 29 May 2017. ^ a b Brignull, Harry. "Types of Dark Patterns". Dark Patterns. Retrieved 29 May 2017. 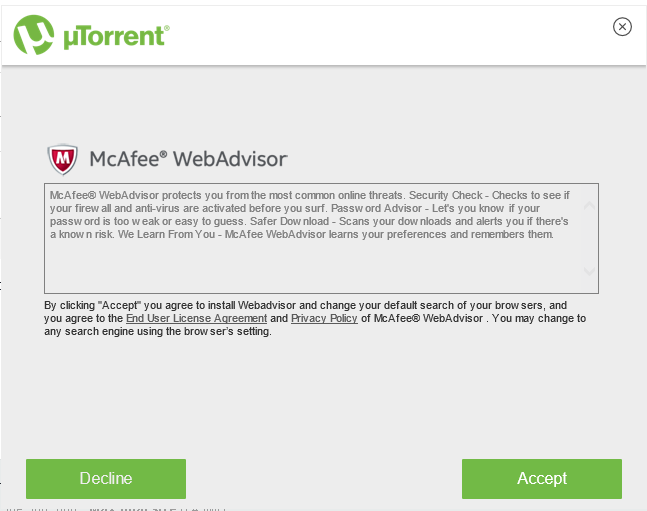 ^ "Terms of service for McAffee in µTorrent installer". 2017. Retrieved 2018-10-13. ^ "Why do we need email addresses to create Reddit accounts now?". 2017. Retrieved 2018-10-13. ... you can skip it by leaving it blank. ^ "How to Create a LinkedIn Account (with Pictures)". wikiHow. Retrieved 2018-10-13. ^ Brignull, Harry (29 August 2013). "Dark patterns: Inside the interfaces designed to trick you". The Verge. Retrieved 29 May 2017. ^ "Understanding 'trust' and 'consent' are the real keys to embracing GDPR". The Drum. Retrieved 2019-04-10. ^ "Facebook and Google hit with $8.8 billion in lawsuits on day one of GDPR". The Verge. Archived from the original on 25 May 2018. Retrieved 26 May 2018. ^ "Max Schrems files first cases under GDPR against Facebook and Google". The Irish Times. Archived from the original on 25 May 2018. Retrieved 26 May 2018. ^ "Facebook, Google face first GDPR complaints over 'forced consent'". TechCrunch. Archived from the original on 26 May 2018. Retrieved 26 May 2018. ^ Meyer, David. "Google, Facebook hit with serious GDPR complaints: Others will be soon". ZDNet. Archived from the original on 28 May 2018. Retrieved 26 May 2018. ^ "Under-18s face 'like' and 'streaks' limits". 2019-04-15. Retrieved 2019-04-15. ^ Kelly, Makena (2019-04-09). "Big Tech's 'dark patterns' could be outlawed under new Senate bill". The Verge. Retrieved 2019-04-10. This page was last edited on 15 April 2019, at 16:19 (UTC).